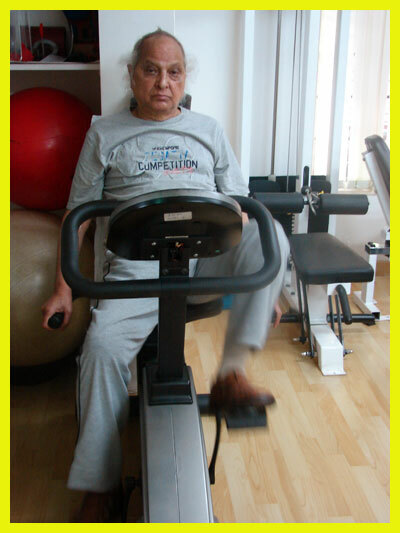 Pandit Jasraj ji has been enthusiastically exercising in our clinic after his recent Cardiac procedure. Exercise is integral to health, and no pill or medicine or injection or surgical procedure can give the benefits that only exercise can give. Exercising OUTSIDE the home environment increases commitment: more people are likely to stick to an exercise plan and exercise longer per session if they go out for it. Going to a place outside home also improves confidence, elevates mood and increases functional skills in the elderly. 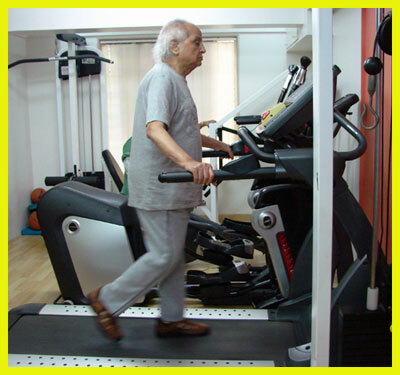 Walking is not the only exercise that the elderly should do. A combination of all components of fitness is required to give the above mentioned benefits. It is never too late to begin an exercise program and it always yields benefits as long as it is planned specifically for you. Hippocrates said “Not too little and not too much” and that is just how an exercise program should be designed. Overcoming personal and social reservations, the elderly should step out into safe exercise zones to reap the benefits of a planned exercise program. P.S. Charles Schulz, my favorite cartoonist growing up always had perfect insight into everything! !